August Comte was born on January 19, 1798 in the city Mont-pelier of France. He belonged to a middle class family and the family got him educated at the elementary level but he could not get college education. 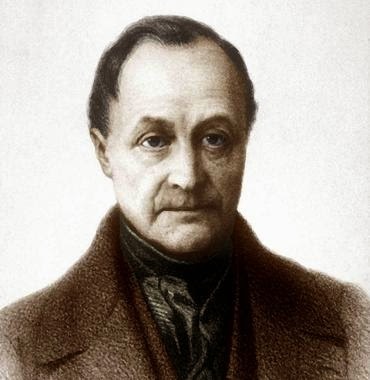 Auguste Comte is considered the greatest philosopher of the nineteenth century. When his contemporaries-Kant, Hegel and Mill, talked in ambiguous terms, he refused to adopt an unscientific way of thinking and clearly showed that the base of human knowledge is on the facts and justification of science. He is founder of modem sociology, especially of human and social unity sociology. In his View, human history is a unit and there has been progress of intelligence and evolution in it. History famous book ‘Course de Philosopher Position’ was published in 1842 in which he considered sociology is ultimate science. Comte fell a prey to a fancy that sociology is a new religion of humanity and that he is the highest priest of it. August Comte rejected the verbal knowledge based on metaphysics and theology because of its impossibility of scientifically explanation. He adopted a positive attitude towards science but he was not aggressive towards morality and religion but he held that if there were a scientific base of it instead of verbal sayings, then it would be a source of gratitude for man. Comte did great services to promote sociology in France and he was the first person who used the word sociology. He died on September 5, 1857.
i. All concepts pertain to metaphysical elements. ii. All relations are of military nature directly. iii. Handicrafts are maintained thinking necessary for the survival and help of human race. iv. The permanent aim of society is victory. v. Slavery is the basic institution of production. According to Comte, the feeling about nature is invention of mind which is a reaction to feelings about nature. At this stage, all thoughts are animistic and anthropomorphic, seen through soul and specific aims with no capacity of how and why and with no explanation and justification. At this stage, world is considered a spiritual world and every action is imputed to this spiritual power and what is not done but is thought to be done by a force because of some sin or reward. Physical objects like trees, stones and sun, moon are thought to have life and to have feelings and are for specific aims. It is thought about gods and goddesses that these are present in this world but are not seen anywhere but are seen to a particular worshiper sometimes. They have specific powers to operate all phenomena of nature. All forces merge into one that is thought the All Powerful and Creator of the universe and is believed to control the whole universe directly or is operating through his obedient gods. The powerful people of a society rule the society and their relations depend upon their needs and societies are always operative in conquering other societies. Handicrafts are according to the needs of life and production means are completed through slaves. All these duties full or part time are done by the slaves. i. Imaginations overpower observation but its importance goes on decreasing. ii. 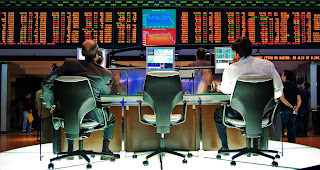 Although societies are under military influences but industry begins to increase. iii. Slavery remains but its manner in terms of rights and duties improves somewhat. iv. Society has two objects-victories and industrialization. In the beginning, industry. helps the military institution for victories but afterwards it gets importance in itself. According to Comte, the second epoch of intellectual progress is not a physical. It starts with the thought that this universe has been created by God. Spiritualism exists but reason starts. Reason and cause get importance in this stage. Proof and its presentation is promoted, however, at this stage the being or not being of God is different strongly which promotes cause and effect. From here, the end of metaphysical stage starts. i. Science and industry is promoted. ii. All theoretical (concepts become positive, observations have a overpowering position and place. iii. Agricultural and industrial production become the basic aim of a society. Auguste Comte says that positivism is the third epoch in which the explanation of things starts from scientific hypothesis and rules which show the relation of different phenomena and the relation becomes based on logic instead of a reason. At this stage, Comte presents his own theory of knowledge in an empirical way. It means that all scientific thinking is bound to investigate on the base of observation. Advancing his thinking in this direction, he says that there should be a specific knowledge, to understand and to analysis the incidents of a society and to which he gave the name of sociology and he further says that there should be religion of humanity in this scientific age and that should be compatible to human mind. Conventional religious and unscientific beliefs take our energies away from the individual’s problems and their welfare. He presents positivism as human light-mindedness and welfare. At the positive stage, minds of human beings search the reasons of the incidents taking place in the universe and there is some force or facts behind these incidents just as every falling thing falls on earth because of its force of gravity and when the minds of human beings will reach this stage, there will be welfare everywhere. Comte says that simplicity of an object will make use of positivism easy. In other words, simpler the object of study, the easier it is to think positively. According to him inorganic science is analytic because it devises laws which pertain to isolated phenomena. The reason of isolation is described whereas Biology is synthetic because it is not possible to isolate an organ of a living thing and to describe its functions because any part of a living thing is dead after isolation. Therefore, it can be said that a living thing is an entity or totality and if the importance of this entity is applied to the elements of sociology, it will be known that any social phenomena cannot seen or industrial without reference to society. We cannot understand religion or rule unless we take the society as a whole. i. Society should be industrial. ii. Scientific thinking should be positive just like that in mathematics and human society should be like this and scientific works should be for the 'welfare of man. iii. Both human nature and social order should be positive. If this thinking becomes universal, it will gain a universal importance which is the main aim of positivism in which love of humanity is religion of human beings, such as love to unite and not to disintegrate them. According to Comte, it means the changes that take place in the society, law of three stages is the theory of social change in which Comte says how the society from theological and metaphysical stages reached the positive epoch and this change should be in such a way as to be love and welfare of humanity as its base. There should be goodness and relations should be on the basis of mutual regards. Statics study, according to Comte, is necessary to keep the social structure and stability during change and progress on its basis and should not fall a prey to disorder and disintegration during the process of progress and change and organizations, institutions, social order and group life should become a formidable social condition. Comte's period was that of revolution of France. Industrial revolution affected the structure of the society badly. The strict norms, customs and traditions of rural society were finishing under the effect of industrial society. This condition affected Comte and he felt a need of knowledge to make function pleasant that it should carry on progress without affecting the social structure of the society that social change and progress should become a source of social stability and not a source of social devastation.